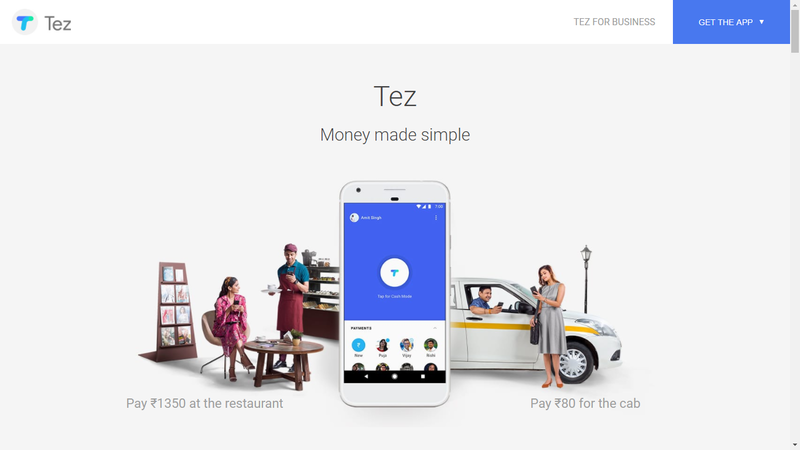 Google today launched its new mobile payment app called "Tez". Just a couple of days earlier we have heard about Tez, which supports UPI payment features. Tez is the new mobile wallet in India that will let users link up their phones to their bank accounts to pay for goods securely in physical stores and online, and for person-to-person money transfers. Currently, Tez is been available for both Android and iOS platform. Tez uses UPI (Unified Payments Interface) and works with all major banks in the country, including: State Bank of India, Axis, HDFC Bank,and ICICI. Send money home to your family, split a dinner bill with friends, or pay the neighborhood chaiwala. Make all payments big or small, directly from your bank account with Tez, Google’s new digital payment app for India. - which describe the Tez. Tez users can send money from one to another, and that also without sharing private details like your bank account or phone number. The Tez Shield works 24/7 to help detect fraud, prevent hacking, and verify your identity. Each transaction is secured with your UPI PIN and the app is secured with a Google PIN. Users can make transaction on every sites that accept UPI. Tez comes with almost every Indian languages. Tez have some online payment partners include large food chains like Dominos, transport services like RedBus, and Jet Airways. And tellingly, to help address one of the many ways that the Indian market is fragmented, the app has support for English, Hindi, Bengali, Gujarati, Kannada, Marathi, Tamil, and Telugu. For money transfers, there is a limit of ₹1,00,000 in one day across all UPI apps, and 20 transfers in one day. At the mean time Tez service is being only available in India, but soon its going to be launch in other Asian countries, specifically Indonesia and the Philippines. You all can download (Android | iOS) and give a try to tez, and do leave your review on comments..